Off-roading is the activity of driving a vehicle on unsurfaced tracks or roads consisting of natural terrain such as sand, gravel, riverbeds, snow, mud, and rocks. Off-roading types range in intensity from leisure drives with unmodified vehicles to competitions with professional drivers and highly customised vehicles. There are several highly publicised cross-country off-road endurance events which are designed to test navigational skills and vehicle durability, the biggest of which are detailed below. Held annually in St. Petersburg, Russia, the Northern Forest Baja forms part of the FIA International Cup for Cross Country Baja season and is the second event in the Russian national off-road season. This off-road endurance race follows a track of more than 450km across ice and snow and the average temperature during the rally is frequently approximately -10°C. An annual rally raid organised by the Amaury Sport Organisation, the Dakar Rally has for the most part taken place since its inception in 1978 from Paris, France to Dakar, Senegal, but owing to security threats in Mauritania – which led to the cancellation of the 2008 event – the Dakar Rally has since 2009 taken place in South America. Raced on far more challenging terrain than conventional rallies, competitors traverse dunes, mud, camel grass, and rocks for an average of 800-900km per day. First held in 1983, the Spanish Baja – or Baja Aragón – is a rally raid event held in the Aragon region in northern Spain and is a popular event for online betting. The event’s creators, originally a group of French and Spanish enthusiasts, chose the desert of the Monegros owing to the breathtaking scenery and the availability of service infrastructure in Zaragoza, the capital of the Aragon region. The event has since 1992 formed part of the FIA Cross Country Rally World Cup. 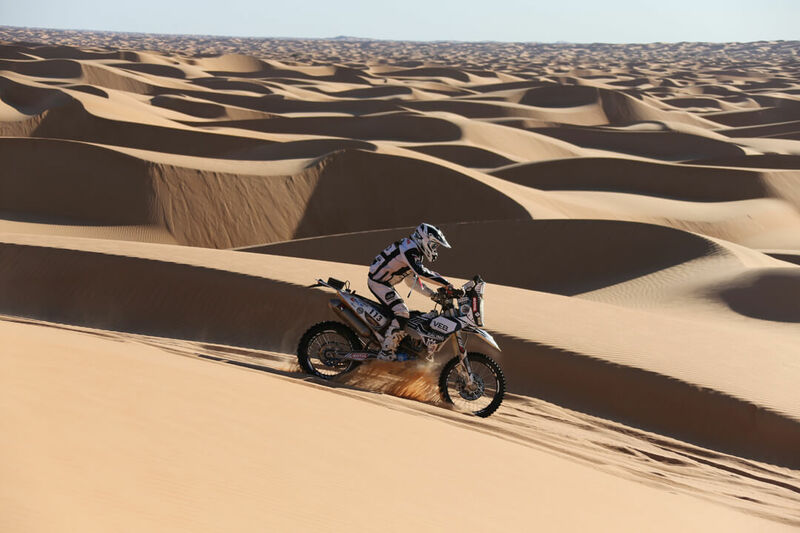 Founded as an answer to the cancellation of the 2008 Dakar Rally and the subsequent moving of the Dakar to South America, the Africa Eco Race puts special focus on the issues of security and sustainable development, and aims to promote individual awareness of eco-responsibility. Bivouacs are specially chosen far from cities and competitors are left in the desert to fend for themselves, left with no choice but to band together in order to succeed. Organised by the Automobile & Touring Club of the United Arab Emirates and inaugurated in 1991, the Abu Dhabi Desert Challenge is an annual rally raid race held in the Emirate of Abu Dhabi of the United Arab Emirates. Designed as point scoring for the FIA Cross Country Rally World Cup, the race has since 2009 included 5 stages entirely across the Abu Dhabi Emirate. The final round of a 4-race series, the Baja 1000 is preceded by the Desert Challenge, the San Felipe 250, and the Baja 500, and takes place in Mexico’s Baja California Peninsula. The most recent event was held from 14-18 November 2017 and consisted of a 1287km loop starting in Ensenada, Baja California, Mexico and ending in La Paz BCS, Mexico.